Melissa Lazarus, M.D. Dermatology (Bay Harbor Islands) - Book Appointment Online! 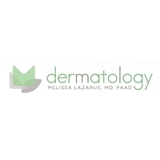 Welcome to the dermatology practice of Melissa Lazarus, M.D.. Our practice has been built by combining the newest technology and an extensive expertise in dermatology with an unfailing commitment to providing the highest level of patient care. Our dermatologists are experts in every aspect of the skin; from skin diseases and general skin health to cosmetic concerns, anti-aging, rejuvenation, and the treatment and prevention of skin cancer. We provide a wide range of services, from medical and surgical dermatology, including total body skin exams, to aesthetic concerns including all types of non-surgical rejuvenation treatments. Since patient safety is our greatest concern, all procedures are performed by our board-certified dermatologists and board-certified physician assistants to ensure the highest quality of care for our patients. Very professional and friendly. Felt very much at ease and confident. Can only recommend. From my initial consultation to the actual procedure, Dr. Shagalov was clear, informative and honest about my options. I chose Ultherapy. During the procedure, I felt calm and secure that I was in the hands of a skilled and caring physician. I was thrilled with the results. Immediately my skin looked and felt more youthful and healthy and has continued to do so. I look forward to further improvement in the upcoming weeks and months. Thank you, Dr. Shagalov!